There are a pair of new interviews online with actor Ciaran Hinds, who is set to portray the character of Aberforth Dumbledore in the upcoming “Harry Potter and the Deathly Hallows” films, in which more is revealed about his involvement in the production. FIrst, Collider has a video interview online in which Mr. Hinds discusses the time he spent on set, his knowledge of the role and books before filming, and his experience working with the cast. Noting that he “did about five days work on [the film],” he related he felt “honored to join the Harry Potter club” and be associated with the films. Calling his Aberforth “the unheard of Dumbledore,” Hinds went on to speak about the kind of “genuinely fantastic” prosthetics used to transform his visage into one resembling being a part of the Dumbledore family. What has it been like to play Aberforth in the Harry Potter films? 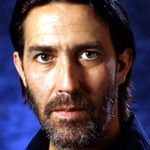 CiarÃ¡n Hinds: He is not in it for very long. I must warn you. Again, it was a great thrill just to be in it. He’s not that involved in the story. I think he comes in near the very end, where he comes in and saves the gang from being torn apart by Dementors. He actually explains to Harry and Hermione, and Ron, the history of his brother when they were young. Even though he’s gotten a few black marks for his behavior. They go through the whole cycle of it. But I’m not sure where that is going to be added to the story. It was a mystery to me why I was thrown into the pot. When I took a look at all of the other actors there, I have to say…I was very thrilled to be a part of it. I don’t even know if you’ll be able to recognize me in this. Hopefully I will look like Michael Gambon’s younger brother. It was great fun to play. What was it like to step onto that set for the first time? CiarÃ¡n Hinds: It all looked pretty crazy. My major scene took place in a small room. It was a room under the pub that he ran. It was very much contained, the scene that I had to do. Then I had to shoot for two more days, where they had me running around this huge set. It had been ripped apart in a Morlock battle. It was covered with people running around waving a wand in a certain direction. That was the mad part of it that I just had one day on. Last January. Most of the stuff I did in the film was contained in a small room. Many thanks to Snitch Seeker for the info!